Wheel alignment is important to the overall health and running state of your car. Wheel alignment is an adjustment made to ensure your tires point straight ahead and are parallel to each other, making your car steer easily and allowing your tires to wear evenly. Tires can be knocked out of alignment if they hit or nudge such objects as curbs, parking blocks, or meters. Once a tire is out of alignment, a car's orientation is knocked off-center, which can lead to various car troubles. A tire that is pointed off-center will pull the car in the direction it is oriented. This pull can be quite noticeable to a driver and can lead to premature and uneven tire wear because of the drag placed on the tire tread, as well as an increase in gasoline usage. Wheel alignment involves three suspension measurements, which include caster, camber, and toe. The camber angle identifies how far the tire slants away when viewed from the front or back of the vehicle, while the caster angle measures the slope of the steering pivot when viewed from the side of the car. Finally, the toe angle identifies the direction the tires pond compared to the center line of the vehicle when viewed from above the car. It's a good idea to periodically check your tires for any signs of uneven tread and wear. 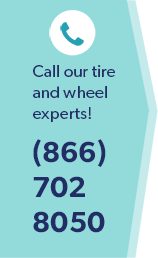 Unfortunately, signs of uneven tread may indicate that it's too late to fix your wheel alignment and the only solution is to replace your tire. Therefore, it's an even better idea to have your alignment checked periodically by professionals. Bring your car to Wiygul Automotive Clinic for periodical alignment checks. A AAA-approved center for auto repair and maintenance, Wiygul Automotive Clinic specializes in complete foreign and domestic repair services throughout Burke, Fairfax Station, Clifton, Fairfax City, and Springfield.